n the absence of workable psychotherapy wide drug addiction is inevitable. When a person is depressed or in pain and where he finds no physical relief from treatment, he will eventually discover for himself that drugs remove his symptoms. In almost all cases of psychosomatic pain, malaise or discomfort the person has sought some cure for the upset. 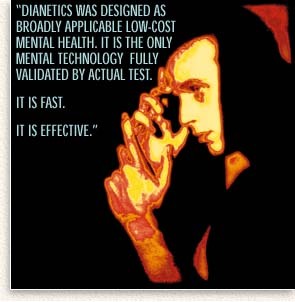 Dianetics was designed as broadly applicable low-cost mental health. It is the only mental technology fully validated by actual test. It is fast. It is effective. Health services should assist it into wide, general use. It can handle the problem.